Home / Pianos / New Pianos / Palatino PUP-118-BKG – Sorry sold out. Palatino PUP-118-BKG – Sorry sold out. New shipment. 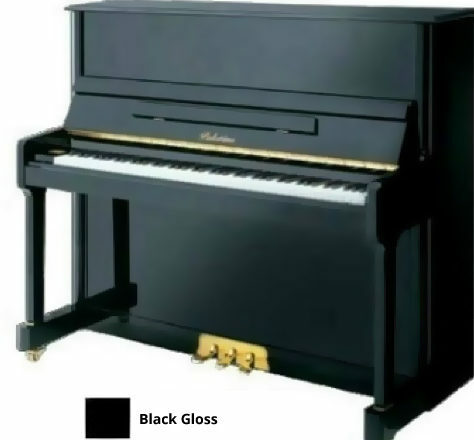 BEGGS PIANO SALE- $1000 PRICE REDUCTION. Although Palatino is fairly new to the piano business, we are not new to building musical instruments. Palatino has been making high quality stringed instruments for many years. The skilled labor and experienced management at Palatino created a great foundation for building very high quality pianos. Palatino builds our pianos based on the pursuit of “Quality not Quantity.” With this mission in mind, we have imported the highest quality components from around the world and manufacture our pianos using costly, highly efficient and precise Japanese and German CNC Routing machines. Canadian white spruce is imported for soundboards, Roslau strings from Germany; beech wood from France for grand piano rims and Renner hammers from Germany on the Concert Series pianos. These are all components found in some of the most expensive pianos in the world. Unlike many mass-produced piano factories that produce hundreds of thousands of units per year, Palatino only manufactures about 7000 pianos annually. The machinery used in building them was brought in from Japan and Germany in order to give us more precise control over the tolerances of both wood and metal parts. This increased level of accuracy allows perfect symmetry in touch and tone. The wet sand cast plates and maple rims give Palatino pianos a warm, rich, stable tone. 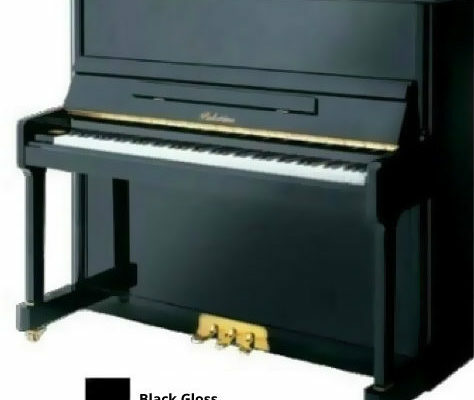 Combining these components, we’ve built pianos with such precise action that they are fast becoming the envy of piano manufacturers charging twice the price of Palatino for their pianos. Play one and see for yourself – from design to construction, from the studio to the concert hall, Palatino is truly a World Class Piano. Palatino 5′ Grand Piano-SORRY SOLD.